1. The ‘crisis game’: During the mid-90s, while still students of Political Science at Freie Universität Berlin (FU Berlin), we were part of a group of fellow students who developed and supervised simulation games based on real conflicts and aimed at other fellow students. We were already dreaming about being able to make a living from simulation games. By the way, the ‘crisis game‘ student project lives on to this day! 2. 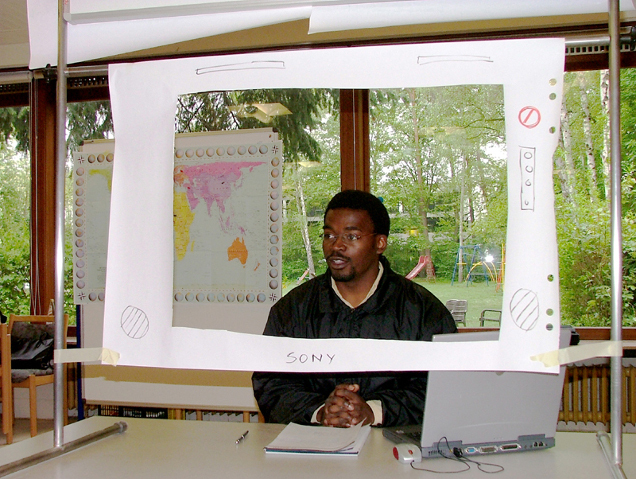 Boring teaching methods at university: throughout our time at university, we often felt disappointed by the one-sidedness of the teaching methods – lectures or presentations, usually followed by rather dull discussions. Back then, only very few lecturers were prepared to employ interactive and playful methods. We soon concluded that a lot could be done to make teaching and learning rather more varied and less passive for students. 3. We prefer teaching to research: After completing our studies, we both worked as research assistants at FU and realised that our heart was in teaching rather than in academic research – not least because we were experimenting with interactive teaching methods and were receiving a lot of positive feedback. 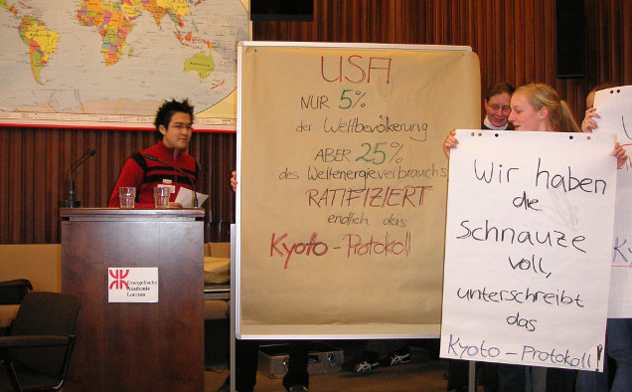 In the autumn of 2004 we decided to set up our own business, creating political simulation games and other interactive formats. Our first commission came from Evangelische Akademie Loccum: we were asked to develop and facilitate a simulation game on globalisation. However, it wasn’t until almost a year later that planpolitik became an officially registered business. All beginnings are difficult, and our initial push for acquisition was somewhat sobering. 300 letters to potential partner institutions yielded only one commission – albeit one without which planpolitik probably wouldn’t exist today: the Youth and Politics forum at the Friedrich Ebert Foundation (FES) in Bonn booked us for the simulation game “Globalisation.” This was the beginning of a great working relationship lasting to this day. Since beginning by developing our simulation games on globalisation for the Evangelische Akademie Loccum and the FES, we have created nearly 100 further simulation games. 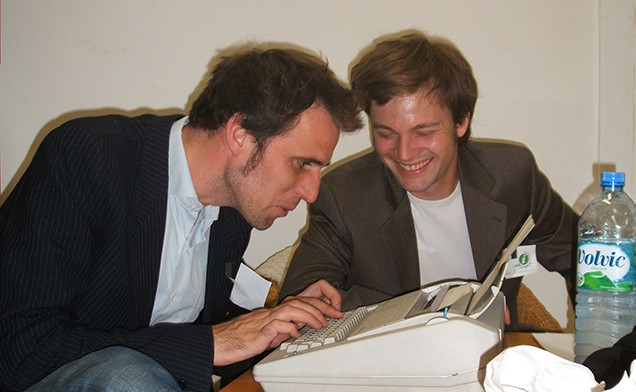 In addition, we have a large number of other event formats on offer: starting with a training course on the development of simulation games for returnees of the German Development Service (DED, today: giz), our range of interactive methods has steadily increased and today includes skills, trainings, workshops, moderating and teaching. At home in Germany, we have run events in 250 different cities and towns, from Sassnitz on the island of Rügen way up Northeast to Tutzing on Lake Starnberg just outside Munich, Bocholt near the border with the Netherlands to Zittau on the Czech border – for some reason, the only federal state we have never visited is the Saarland. The two cities in which we’ve run the most events are the old as well as the new capital, Bonn and Berlin. Over the past ten years we have worked with almost 200 different partner organisations and run over 1200 events with around 40.000 participants. In addition, we have advised numerous organisations on developing concepts for interactive events.